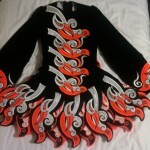 Stunning and unique dress by Gavin Doherty, worn less than 10 times by 17 year old 5ft 2 dancer. Fabulous condition – except for slight tan stains on inside lining of bodice. 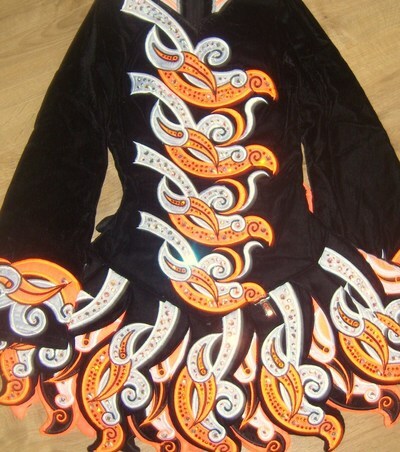 Black velvet with orange and white appliqued pattern, hundreds of swarovski crystals (AB, orange and black). Orange kick pants included. 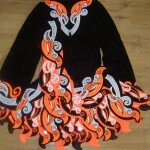 1″ let-out on each side of bodice. 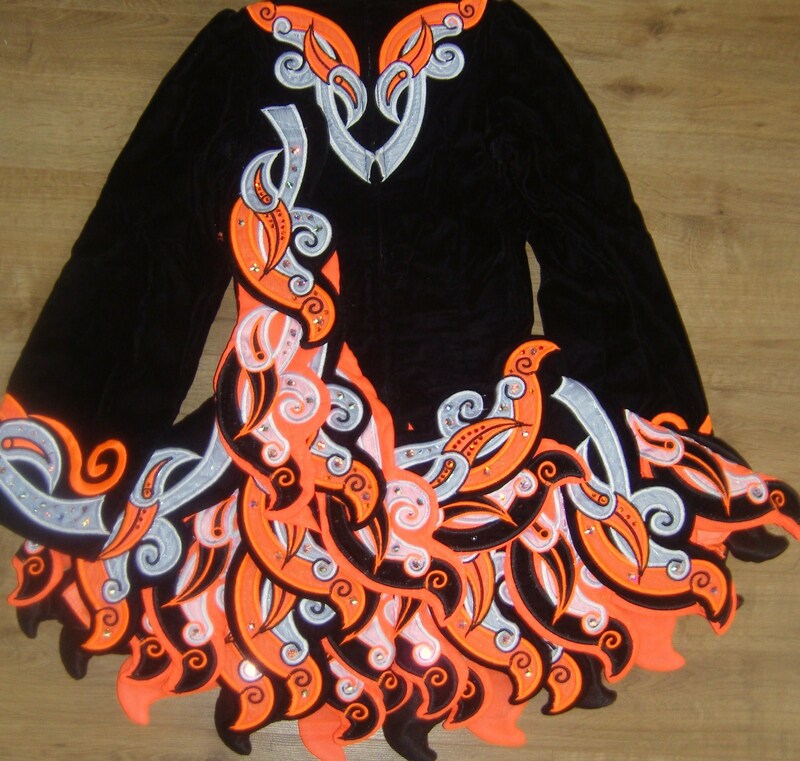 1″ let-down on overall length by dropping the skirt. Asking Price: £750.00. Shipping costs are included for my own country, overseas shipping is extra. Returns are negotiable.